Nintendo of America has posted a job listing on its careers page seeking an "experienced manager" who can help grow and develop Nintendo's online subscription service on the Switch. The position is based in Redmond, Washington at the company's American headquarters. "We are looking for an experienced manager who can lead and drive Nintendo’s online subscription service. This is an opportunity for the successful candidate to help grow an emerging part of Nintendo’s core business and lead a cross-functional team of stakeholders across the organization to align on priorities and execute with excellence. 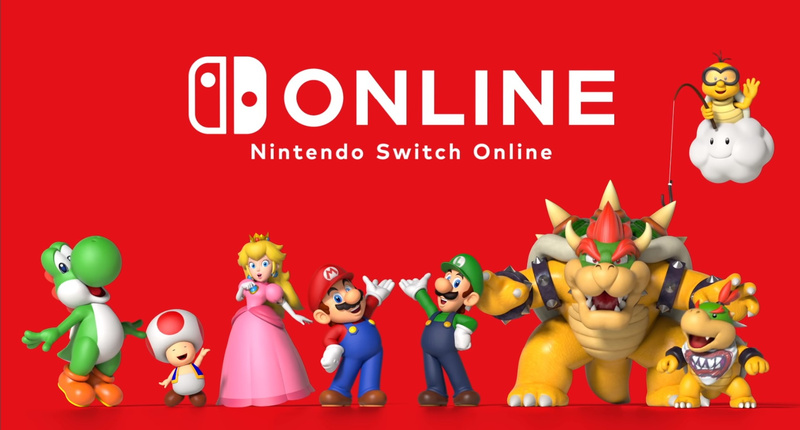 This role will be responsible for managing the Nintendo Switch Online (NSO) operations and drive the program priorities, execution, and business objectives." Are you glad to hear Nintendo is hiring a manager to help grow the NSO? Tell us below. This could be good. I wonder if we will hear who they hire? This was my point though, if Nintendo sees the paid service as profitable, they will have incentives to improve it. Let's hope they get an online gaming veteran on the team. If that doesn't happen, then this service is Nintendoomed. I manage my money! That's experience. @CurryPowderKeg79 Nintendo wants to make sure the online service get better and better with someone who know wat their doing plus they probably got alot of feedback from gamers that online service needs more improvement. However, it’s encouraging that they realize most of the company is horribly inept with dealing in this category. Redmond is an hour south of me (Whidbey Island represent!) and this entire area is crawling with immense technological talent. @UmbreonsPapa true but i think they wanted switch to have alot of games come to it after its launch so it wouldnt have droughts reason why they delayed the online service to last september. This could be Good News or Bad News. depending on what person they get hired. An experienced manager who is capable of performing miracles. This has the potential to be something great. I never heard Special Offer. "Enthusiasm for technology and gaming a plus"
For a role like this, that should be a requirement. Hire me or anyone from this comment section for 1 day and the service will improve. Remove those silly button prompts. Add online play with randoms. Schedule 24 SNES roms for release over the next 12 months. Convince the higher ups to add the occasional N64 and Gamecube games, even if it requires a price increase for them to do so. convince them to make some sort of NES/SNES Remix mode with monthly leaderboards.Perhaps offer a Gold Coins reward for the top places. Make it exciting and give everyone an incentive to get good at the games. Color me impressed. They are actually trying to improve it. @TheAwesomeBowser Being a veteran gamer doesn't mean they are qualified for the job. I seriously doubt a gamer would even meet the qualifications for the job. I'm no big online gamer, but I would of course love for them to adopt some actual basic functionality and even go beyond just messaging and SNES/N64 games. Ideally they would have made online play free and just have the subscription give you the stuff like retro games, but that ship probably sailed years ago. It doesn't hurt me since I'm primarily single-player, only dabbling in some online games here and there, but yeah. So they're now asking for help to make it a service that most can be satisfied with? Well at least they realized now instead of never. I actually meet every requirement for this job other than speaking Japanese.... I would legitimately consider applying if it wasn’t required to move to Seattle (which I assume it is). Nintendo is looking to bring in some top talent to improve and grow their online service by giving the fans more of what the want. Nintendo's leadership in Japan is upset that Nintendo Switch's paid online is undersubscribed. They're looking to hire a salesman to try to push the service, more or less as-is. With Microsoft moving into Games as a service, I think letting them help would be beneficial to both. They already have the infrastructure, and they aren't in direct competition I don't think. Who knows though this could be promising. I hardly play online anyways. Who knows.... Maybe the person before was just not doing their job correctly, and they got the boot. @JaxonH As a project manager I don't think I've seen a job description that didn't use those words. ...But, as a project manager wanting to learn japanese...wanna hire me, Nintendo?! I was perusing their job listings the other day. They have a tech support manager for anyone who speaks French and English. Lots of postings for various positions actually. Positive me: Yeah! A chance to make a difference in an area I care about! Negative me: This smells like a puppet position with no real power/mandate over the things I care about changing. "Closely partner with" and "work with" could mean anything, but what I do know is that it means there will be people above you with more say in things that matter. Probably I'd end up being a coordinator for the service as decided by Japan HQ. I'd basically have power over which metrics to follow up on and how to sell the concept in the US together with my team, but little influence in bringing SNES/N64/GC content over and improving the online experience. "You want more than 3 NES games a month? Fine, we'll give you 4." Hahaha, that's hilarious. Even more so because it could happen I smell SNES games in our near future however, announced at or around E3? @Shade_Koopa I meant someone who had a high level of experience in the online gaming industry. Let's just hope for the best, yeah? 'Raise hand' me me me me me. I could make it lots better. Scrap the app and fill the online with Gameboy, N64, Gamecube and games from all classic Nintendo systems coupled with Turbo Grafx-17, you know like it was ten years ago. @OorWullie Heck yeah! I really enjoyed the NES Remix games! Give us a profile with achievements or trophies and give us back virtual console! I would play link to the past again tomorrow if i know i will get a trophy for finishing each dungeon, finding every heart piece etc. Something to show for our efforts, Or nailing a designated lap time on super mario kart.... So much wasted material they dont tap into. My first day on the job: "Let there be GameCube"!! Please, new "experienced manager", convince NCL to allow us to change our flags in online games. It is so absurd in games like Mario Maker, Smash Ultimate, Mario Kart... to show the flag of your account. Good news. I'd argue they should have had someone in this role before they launched the service, but it sounds like they've needed to use the success of the service to justify the extra head count. This will mean a more coherent strategy and content schedule for NSO and that can only be a good thing. They only need dedicated servers for the games that use the online and a better selection of older games - that's literally all then need to push it. The Wii U's online wasn't great, but it was free, and now they want to charge you for the same experience. It's not rocket science. Ok. Nintendo is close to clueless with the online. This should game been done 3 years ago. They are so so behind. JIRA, huh. I never heard of that one. I have some learnings to do before I can convince them to bring back Onslaught. Voice chat would be a good start. I'd like to manage or assisst on another attempt at the Virtual Console side of things. 1. Every game you download will have 3D-scans of all the original boxes, cartridges/discs and instruction booklets! An authentic recreation for the ultimate nostalgia trip! I always missed that aspect in all of Nintendo's Virtual Console. 2. I'd create an app for the Switch, a virtual 3D room where you can select the system and then the game you want to play from a shelf that you can organize yourself any way you want. 3. This "Virtual Console Gamer" room feels empty at first but it grows as you buy more games. You can unlock trophies, 3D figurines, posters, and soundtracks by beating the games or doing certain tasks in them (kinda like achievements, only better) and then decorate your Gamer room with it. 4. I would add all older systems and launch each of them with one of their most iconic games and I'd add one new game for each console every week. Counting all systems (1. NES, 2. SNES, 3. Nintendo 64, 4. Game Boy, 5. GBA, 6. Nintendo DS, 7. Sega Master System, 8. Mega Drive, 9. Turbografx, 10. C64) that would be 10 retro games a week (excluding Neo Geo and Arcade for obvious reasons). 5. More importantly, I would add a new system because a new Virtual Console needs to have at least one new game catalog to choose from: Obviously I'd listen to the demand of fans and would launch the Gamecube VC with Super Mario Sunshine, Zelda: The Wind Waker and Super Smash Bros. Melee. I already planned out the first 20 games coming in the following 17 weeks: 4. F-Zero GX, 5. Chibi-Robo, 6. Fire Emblem: Path of Radiance, 7. WarioWare, 8. Animal Crossing, 9.Eternal Darkness, 10. Mario Kart: Double Dash! !, 11. Metroid Prime, 12. Paper Mario: The Thousand-Year Door, 13. Geist, 14. Pokémon Colosseum + Pokémon Box, 15. Luigi's Mansion, 16. Battalion Wars, 17. Pikmin, 18. Starfox Adventures, 19. Cubivore: Survival of the Fittest, 20. Resident Evil 4. I'd continue to release a good mix of quality, popularity, and rarity. And don't worry, I'll add more of the best Nintendo and 3rd party games weekly (until we run out of games that we can release). Yeah, that's it from my perspective on how the Virtual Console should move forward from here. Well, if they actually fulfilled Iwata's dream of one system to develop for, and quit wasting time/money working on 15 year old games to port to 3DS, then they could up their own Switch online service themselves! @OorWullie your forgot one major thing that is needed.... a way to MESSAGE friends to say hey wanna play a game,,,,that doesnt require the app...why there is no messaging system is beyond me. add a parental control that disables it for those super paranoid parents that think the internet is evil but for everyone else how bout give use messaging.